This business centre promotes collaborative working and a working environment that encompasses more than work. Equipped with an impressive on-site gym, a coffee lounge and access to kitchen facilities, there is a wealth of amenities outside of office life to take advantage of. Being based just off the M62, tenants can come easily from nearby places such as Huddersfield, Bradford, Leeds or even Manchester. Based in a fantastic area of Huddersfield Town Centre, a two-minute walk from Huddersfield train station, this Grade II listed building houses modern and recently refurbished offices offered on a flexible, cost-effective basis. A flexible range of managed workspace accommodation within a converted mill. A wide variety of units available, including workshops, light industrial, office and storage premises. Located in Huddersfield, which ensures nearby rail and bus connections. Close to the M62, offering easy access to the rest of West Yorkshire. Flexible, modern office space with superb support facilities. Located in central Huddersfield, with superb road and rail links to Leeds, Manchester and the surrounding regions. All units complete with high speed internet and telephony systems, additional features include free meeting / conference room provision. The space is accessible 24-hours a day so provides excellent flexibility for working hours. 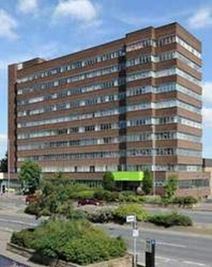 A variety of office accommodation available within a nine storey building in central Huddersfield. An open plan layout with some partitioned private offices, suspended ceilings and recessed lighting, heating systems, as well as lifts are car parking facilities available. Superb public transport connections, and the nearby M62 motorway offers excellent access to Leeds, Manchester and the surrounding regions.